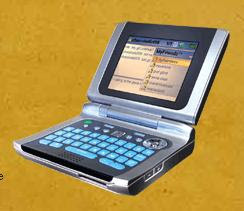 Zipit Wireless Messenger is a portable IM device with a built-in audio player and photo viewer. All you need is an existing IM account, access to a wireless network – either at home or public hotspot – and you can IM with all your friends on AOL/AIM, Yahoo and MSN. 3 Skypephone - Skype Mobile Phone is ready ! Pidgin (formerly Gaim) 2.2.2 released ! Miranda IM 0.7.1 released ! A serious bug on AIM may not fixed ! Looking for Skype Alternatives ?